As a specialty coffee roaster, we regularly meet interesting, passionate people from a broad array of backgrounds who aspire to opening a coffee business. In fact, one of the most exciting and challenging parts of my job is collaborating with fellow entrepreneurs to think through coffee business concepts, lend our experience and expertise to their planning, and support them with the roll-out and launch of their new coffee shops. Even more exciting is watching these coffee businesses take root, hit a sustainable rhythm, and grow. Over the course of our 20 years in business, we have been mighty fortunate to work with folks who have – through blood, sweat and tears – built successful coffee businesses from the ground up. Drip-Thru Coffee serves many regulars each morning at their Stockbridge and College Park, GA location. 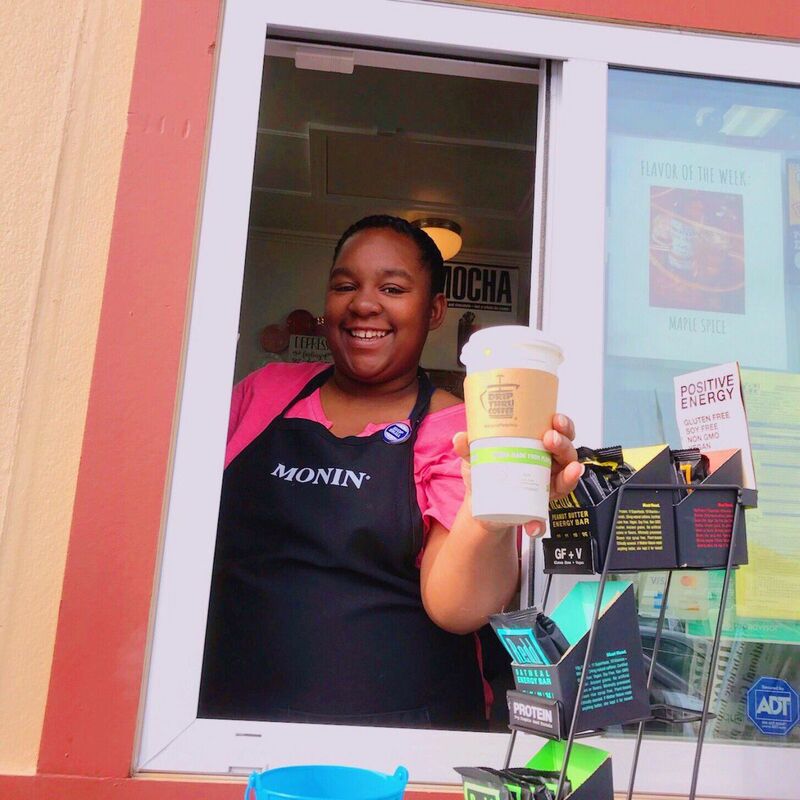 The Sentient Bean in Savannah, who started about the same time we started Cafe Campesino, have taught us so much about community-building and coffee house sustainability. Our friends at Drip-Thru Coffee in Stockbridge and College Park also come to mind. They are boldly and successfully introducing the specialty-coffee, drive-thru model to the Atlanta metro region. We’ve also met our fair share of people over the years who for one reason or another were unable to launch their coffee shop or keep their doors open. 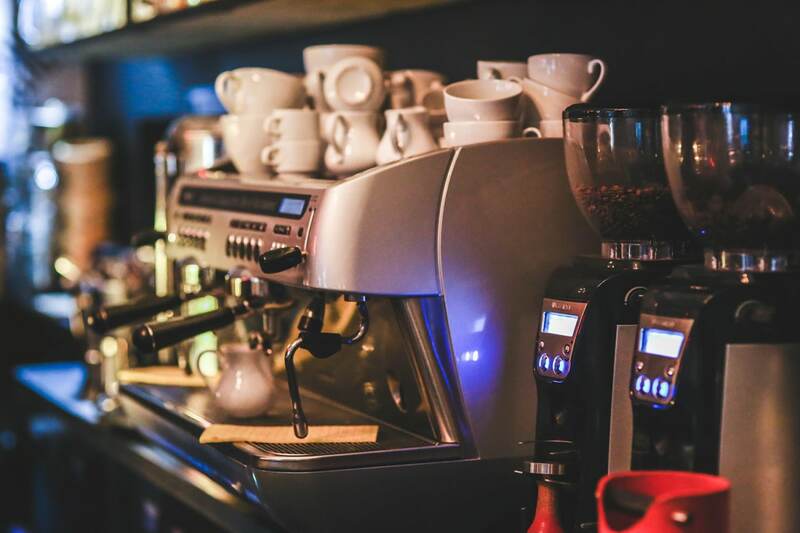 Based on those experiences and more, here are some of the key questions I believe every aspiring coffee-shop owner should be asking themselves. What is your time-frame, and is it realistic? Rome was not built in a day… most of our successful customers have planned for at least several months – sometimes even years- in advance of opening. Whether or not you are building a new coffee spot from the ground up or upgrading an existing operation, everything will take longer than you think. If it takes less time, be happy! Do you have enough capital to fund the planning, build-out, outfitting, pre-opening and ongoing operations for the first year? Do you have enough money to pay yourself until the business generates enough revenue to pay you? ‘How much capital does it take?’ is a frequent question. And, yes, it depends. Build it or buy existing? Are you planning on building your business from the ground up? If so, the resources needed are significant. I suggest that folks also consider looking for an existing business to purchase. Many small-business owners want to exit their businesses (for a number of reasons). You might help them do that. Maybe there is an existing coffee house in your target neighborhood that is for sale (or could be)? Buying an existing business is worth considering, because it already has infrastructure in-place and comes with a customer base. Plus, you might be able to find out from the owner what has and hasn’t worked for them in that location. Is your new coffee business expected to provide all of the income for your family? It is not recommended that a family (with or without children) relies on a new coffee business for all of its income. That is extremely stressful, risky, and not good for relationships. Is there regular, daily foot traffic? Easy parking? Will you stand out or blend in among other businesses? 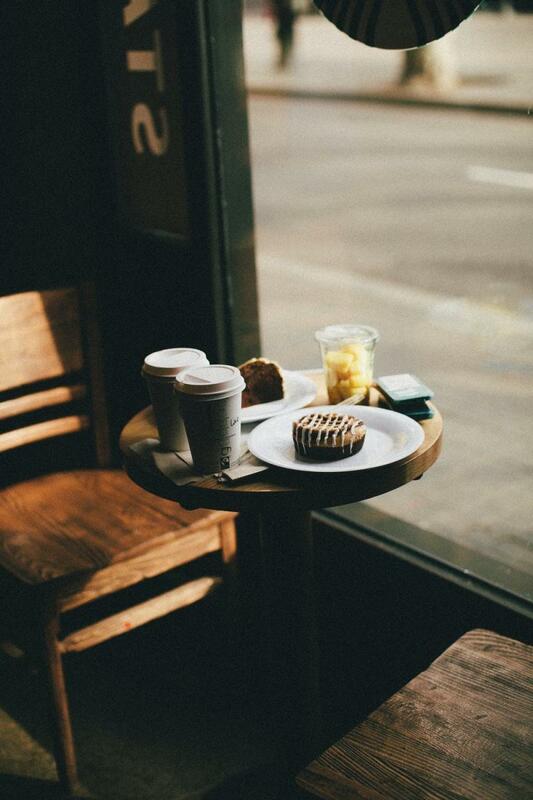 Yes, location makes or breaks a coffee house business. Consider questions like: Is your location easy to access during non-rush hour and rush hour? What is the traffic count, and is it sufficient to drive sales? Will parking be easy or congested? Do you share parking with other vendors? Is there enough reserved parking spaces for your business? What types of businesses surround you, and do they attract the same types of customers you seek? Is your location within walking distance to residential and business communities? If your model depends on foot traffic, are there enough pedestrians to sustain your business? Many coffee shops find they need to also sell food to be able to generate big enough average ticket sales. Sales… what do you need in gross sales each month to pay your costs of goods, payroll, and overhead expenses? To generate the sales revenue you need, do you need to also sell food? (The answer is most often yes.) How many tickets do you need per day, and at what average value? 150 tickets at an average of $10 per day? 300 tickets at $7 per day? Will your location support that number of tickets per day? Will the customer-base spend an average of $10 per visit? How are you going to generate the foot traffic you need to generate the quantity of tickets you need? “Build it and they will come” does not work… aggressive community engagement, social media presence, promotion, and fast, happy, excellent customer service are critical. Great online reviews are necessary. Will you be able to manage the various online review sites where your customers will post? One of the best ways to learn what works and what doesn’t is to study successful coffee houses. For your own business, you should consider having someone designated for generating new customers and keeping existing ones. Eye-opener (at least for me it always is)… How many $10 tickets does it take, for example, to pay for $2000 in monthly rent? If you operate on a typical restaurant financial model – with expenses budgeted at 30 percent of gross revenue, then you need at least $6600 per month in revenue just to cover rent… this does not include your other expenses! If your average ticket is $10, then in a given month, you would need 660 tickets to cover the rent. In a 30-day month, that translates into 22 tickets a day… just to pay the rent. Building and running a new business is hard work and requires an above-average amount of stamina. Do you have the energy and resilience it takes to work 7 [long] days a week? Can you do it for the first year or longer? Are you a good multi-tasker? Can you talk to to customers while you are making their breakfast or their latte? Finding a good working partner can help immensely, not only to share the workload but also the stress that comes with being a business owner. While not everyone is built for working with a partner (I respect those who have the capacity to go-it alone), I believe that most are. The key is knowing each other on a deeply personal level, getting clear on expected investment of time and capital, responsibilities, etc… and agreeing to an amicable exit strategy if the partnership doesn’t work out. Regardless of what some folks say, friendship is part and parcel to any viable, sustainable business partnership… at least in my experience. Make a habit of solid business and financial management systems and practices. You will need a good bookkeeper to help you track your costs of goods and expenses. It will be impossible to know if you’re making money if you don’t accurately track your COGs and expenses. Keep a robust sales and marketing function. Even when things are going well, your best customers will move, your competition will increase, your best-trained barista will get a full-time job. You must keep generating new customers. Your commitment to win-win relationships with key stakeholders….. from the hard-working women and men who grow your coffee, to the roaster who supplies you with your most critical ingredient, to your food vendors, staff, the community that surrounds and supports you, and the customers who come back day-in and day-out. The key to all of these is creating win-win relationships all around. Your sanity will depend on it. General rule of thumb from a cranky old business mentor… “if you want to improve your chances of success with a new business, take your sales projections and cut them in half, double your projected expenses and the amount of time it takes to launch and reach breakeven, and if you have the grit and capital to survive these conditions, you stand a good chance of making it.” A little Draconian but a valid point all the same. Helping to grow our coffee business has been one of the most exciting, and rewarding endeavors of my life. I am consistently inspired by the work-ethic and creativity I see from everyone along the supply chain- from our trading partners to my fellow coffee entrepreneurs. But my work is not done. It’s never done, and I know now that coffee businesses are not for the faint of heart.